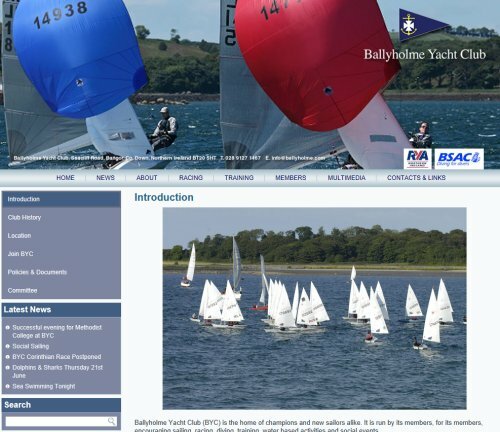 Over the past few months we’ve been helping Ballyholme Yacht Club develop a brand new website to promote the club, provide information to members and automate some membership tasks. The new site contains many different pages and menu sets, all of which can be maintained from within an online content management control panel. BYC are able to post information on sailing events, regattas, provide updated photograph galleries and movie clips, import the latest news on races for members and update calendars and online news stories. A new event registration system was also developed and installed which allows the club to manage bookings for courses and accept payment quickly and easily online.